Looking for a cute, sharp and little scissors? Stop the search: you found them! This is a beautiful, sharp, pointy and multifunctional scissors and they come in two models. 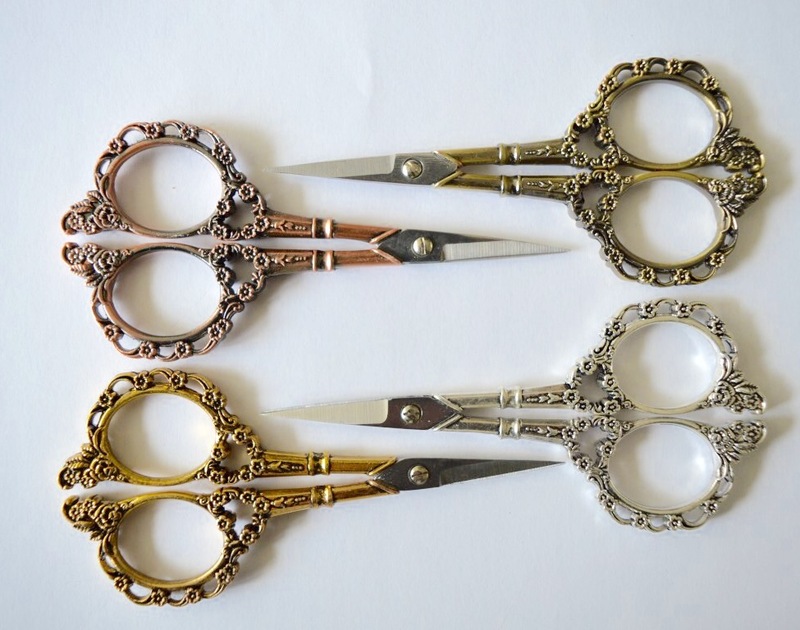 These scissors have an intricate floral pattern, reminding of an antique item but they are brand new and therefore extremely sharp. They are also very functional due to their sharp tip and sharp blades, making them great for cutting rope, thread but also paper with precision. They have a kind of Victorian look and feel but they are brand new and therefore extremely sharp. They are also very functional due to their sharp tip and sharp blades, making them great for cutting rope, thread but also paper with precision. Both models are made of metal and the measurements, you can find in the picture (total lenght is about 11,5 cm). Due to its small size, it is easy to take with you. They come in a clear plastic blister and the weight (including the plastic blister) is 50 grams. 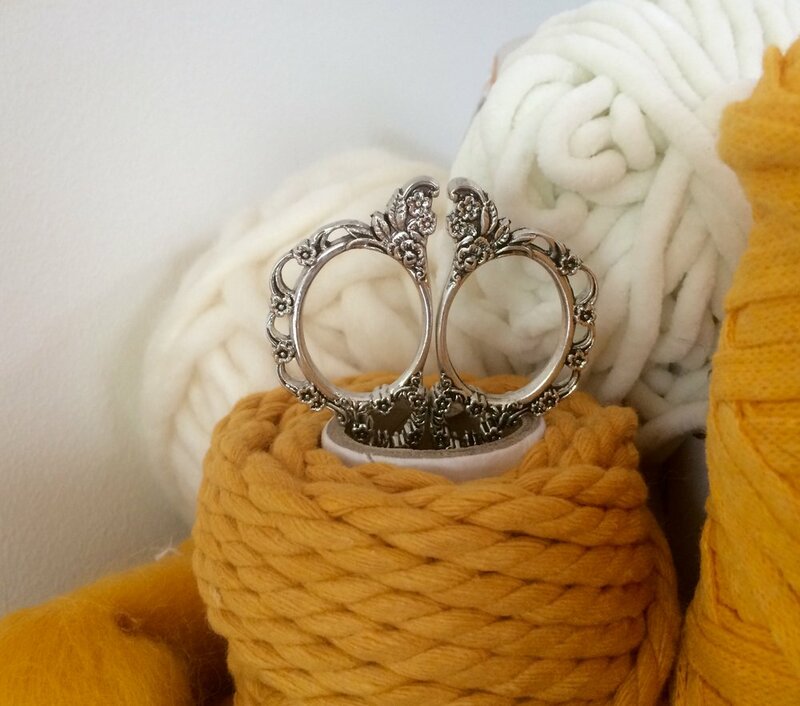 Great for macrame, weaving, embroider, knitting, crochet but also for scrapbooking and other precision work. And, they make the perfect asset for all your social media pictures as they are too cute!